Being from Brooklyn I know plenty of great spots for certain things I need or want. Whether its to satisfy my hunger, hang out, drink, or shop I know where to go in Brooklyn. But surprisingly my friend, Leroy from the Bronx, found a place in Brooklyn that was just brilliant for any Whovian. The Way Station is a great place for you. Located at 683 Washington Ave between Prospect and St. Marks, The Way Station is a combination Steam Punk and Doctor Who bar. The atmosphere is just great, very warm and very friendly. You can sit at the bar or in a booth with friends this place can accommodate quite a large crowd. This is great for Birthdays, which my friend Leroy celebrated the day we went. Besides the great drinks named after very well known Dr. Who terms and people, besides the fact that they are willing play Dr. Who on their TV while you drink or eat, the fact that they have an actual TARDIS that is bigger on the inside I say it worth the trip. Granted its the bathroom, but still all the more awesome. 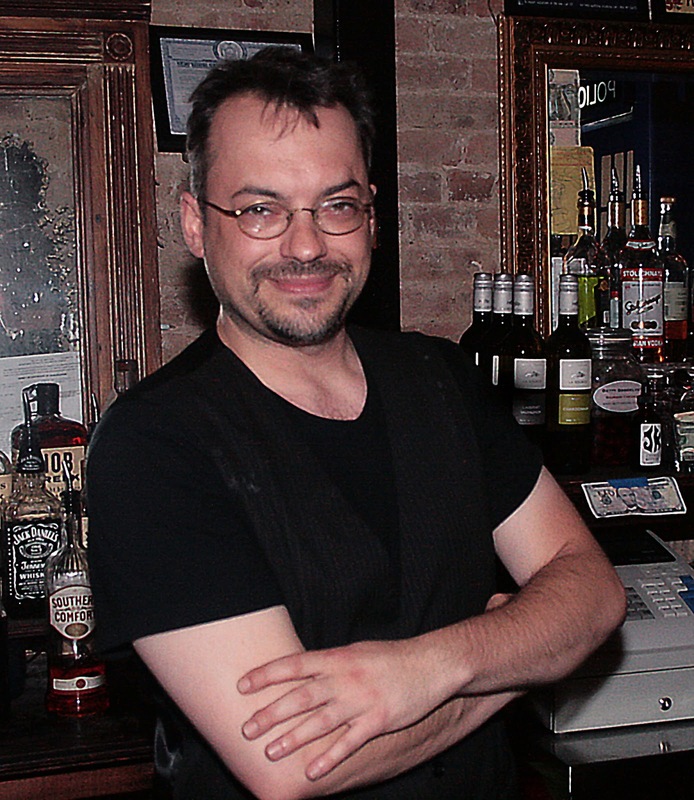 The owner/bar tender Andy is one of the most hospitable persons you will meet. Big into Steam Punk and a Whovian himself, hence why the bar is the way it is, makes you wanting to not only come back, but makes you want to get to know the bar itself almost like his own personal TARDIS. You got the drinks, the TARDIS bathroom, a variety of take out menus to choose from if you hungry, so what else can make this place even better...some great live music. The Way Station plays host to new and upcoming bands almost on a daily basis if you check out their blog for upcoming events. We were lucky enough to hear 2 amazing bands play that night: Old Nick hailing from Woodbridge, BJ and True Apothecary coming from Tarrytown, NY; two bands with incredible songs, and amazing styles. Once they started playing it was like it was they were a part of the whole ambiance of the place, they only made that night all the much better. When you hear lead singer Jay Sakong of Old Nick sing, it just feels like there is something real behind those words. Hearing David Brooks of True Apothecary Sing is just fantastic, you hear the hard work behind his music come forth in his songs. The Way Station is a great place to after work, or to hang out with friends and have a good time. Well priced drinks, great live bands, can order out for food, and they have a TARDIS I think that says it all.